There is a reason God’s grace is called amazing. Truthfully, there’s not another adjective that comes to mind that could do his grace justice. When I wrote this post on my experience as a victim of assault, it was important for me to share with you the truth I’ve found in life’s horrible situations: God didn’t do this to me (or you). You must know how much He loves you, and that no matter what has happened to you, God will use it if we open up and allow him. God has a purpose for your life. God called me to share my story; it has led to an incredible healing for me, and has created a dialogue with others who have been victims as well. But if I’m going to tell the complete and open and honest truth, it’s important to know that I didn’t come away from those events unscathed, with a sudden awakening and understanding of God’s love for me. The reality is those events, for a period of time, left me in a dark place. I retreated into myself because I didn’t know who to talk to, or even how to begin the conversation. I coped in the way that made the most sense to my very young self; I drank heavily, and made poor decisions because of it. Being victimized is much more than just the act or acts against you; it’s the unraveling of your life afterwards. After a few years of self-medicating, something happened. Something changed. I was on my way home from a happy “hour” that ended up lasting eight. Have you ever closed a bar down on a Wednesday night? I think that’s what opened my eyes to a certain sense of desperation; of floundering, of seeking yet finding nothing. I was driving home (yes, driving) when I randomly came across a Christian radio station. I say randomly; however, I think many of us know there’s nothing truly random about these things, is there? Anyway, I paused to listen to the pastor. He was delivering a message of hope, and he was speaking of the Prodigal Son. He closed his brief message with a sort of altar call. I continued driving, but found myself repeating his words. The realization that I was finally finding began to creep in. The following day, listening to the same radio station, I heard a commercial for a local church having its annual Christmas Bazaar and White Elephant sale. My husband and I were not, at that time, attending any church on a regular basis (side note: God bless my husband, who I met when I was just 19 and who has been by my side through every step of this journey). I was loosely raised in the church; I had a vague idea of God’s love, but not really an understanding of its depth. I knew the scriptures, but I didn’t live the scriptures. For some reason, that simple commercial called to me. I mentioned it to my husband, and he was naturally gung-ho to go. We went, and that was it – I was hooked. The love and light emanating from the people we encountered was astounding. The beginning of the positive road was before me. God was hollering to me. When I began to feel the calling from God to return to him, I initially felt an immense amount of shame for decisions I’d made. I couldn’t imagine God forgiving me; the idea of God saying, “Okay, I’ll forgive you,” while secretly condemning me was in the forefront of my mind. Yes, I think that shows the depth of my shame – can you imagine our awesome, incredible and loving God doing that? Turning one of his children away? Of course not, but when you’re coming from such a place of despair, the human mind is capable of convincing you of quite a bit. We are imperfect creatures; we are full of free will, and we are sinners by nature. It’s just the truth of the matter. Try as we might to do good and right, to be just and fair, we’re going to slip up, and sometimes that could be a lot. Our sinful choices don’t need to define us, though. When I came to a place of knowing I wanted God’s full and complete love, that I had accepted things as they were and wanted God to use them in my life for good, I also came to a place of knowing that even though I’d made some no good, horrible, very bad choices at times, God still loved me. God has given me grace. It is by His grace that I’m saved and forgiven. And man, did I want that forgiveness. 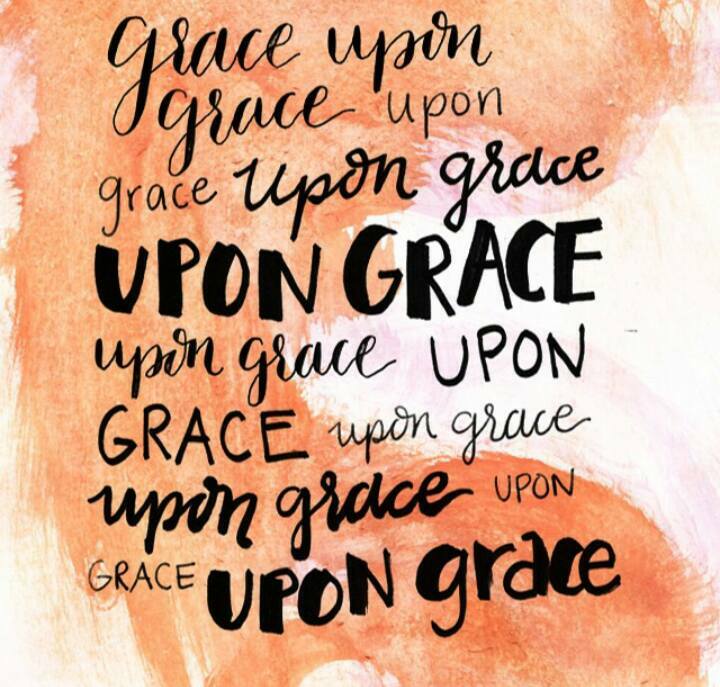 How do I know God’s grace is amazing? Well, just reading of King David, the Apostle Paul, the Apostle Peter, Moses, and a host of others has proven it to me. I have realized that if God can use murderers, liars, adulterers, and all-around not great folks to accomplish the greatest of his works, he probably had a place for me, too. The more I’ve come to know His grace, the less of my guilt and shame I carry. The more completely I allow God to guide me, the less inclined I am to figure things out on my own. Understanding God’s unconditional love meant I could also finally love myself in that same way. Even better, it means that I am capable of loving others in that same way. I can give grace and love and forgiveness, because God gave it to me. And the best part? It feels really, really awesome. If you don’t know what it’s like to wake up every single day with joy in your heart, with a smile on your face, with an overwhelming desire to show everyone – EVERYONE – your love; well, I want you to know that feeling. I want you to know God’s grace and love, because once you do, it will be impossible for you not to share it. Know that God’s grace is deep. 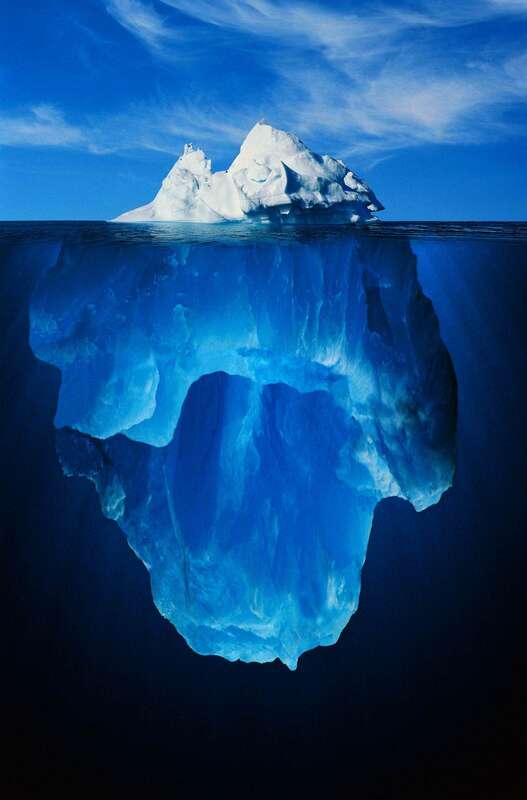 When folks say, “tip of the iceberg…” that’s how I imagine God’s grace. I see this iceberg of grace; this massive, brilliant, beautiful and pure thing, and yet I still have so little comprehension of its true magnitude beneath the surface. It is that full of mercy and forgiveness. And it’s there for all of us. It is awesome. It is deep. It is amazing.